The Kurt and Ernst Schwitters Foundation serves to promote art and culture. Its essential aim, as expressed in the Foundation’s Charter, is to “maintain intact to the greatest extent possible and care for the lifework of the graphic artist, author, typographer and commercial artist, Kurt Schwitters, and that of his son, the photographer and collector, Ernst Schwitters, and to document it and make it accessible for exhibition and research purposes”. Items returned to Hanover are restored and catalogued and researched, and are made available to the public. Most are on loan in the Sprengel Museum, Hanover, where a rotating selection of Kurt Schwitters works from the collection is displayed. Other works and documents can be viewed upon request. Large groups of works have now been catalogued and published or are in the process of being catalogued. The Kurt and Ernst Schwitters Foundation is joint publisher of Kurt Schwitters. Catalogue raisonné, the third and final volume of which appeared in 2006. Since the Foundation was set up substantial parts of the estate have been available for international exhibition loans. 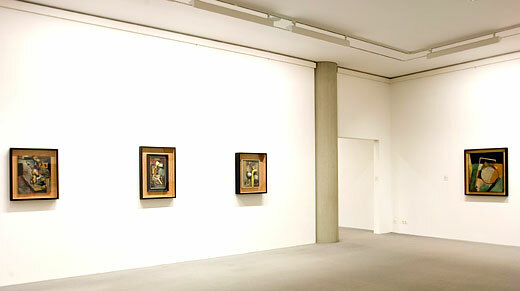 The Foundation regularly organises exhibitions of both artists’ works in cooperation with the Sprengel Museum, Hanover. See Activities. It advises borrowers and other partners on preparations for exhibitions and publications. The Foundation oversees the use of works by both artists. It gives expert opinions on Kurt Schwitters’s works, together with the Kurt Schwitters Archive in the Sprengel Museum Hanover, and protects his oeuvre from misuse.